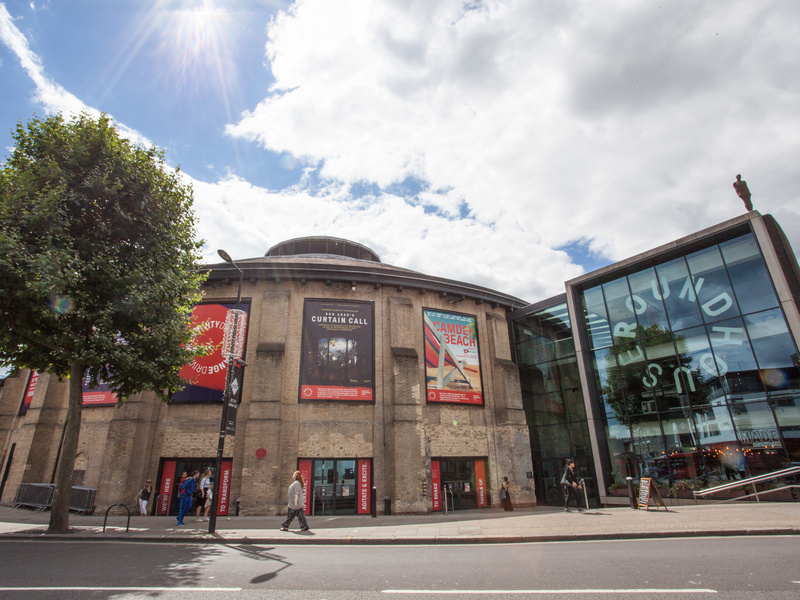 This week, we find out more about London's The Roundhouse. See full listings for The Roundhouse in London here. 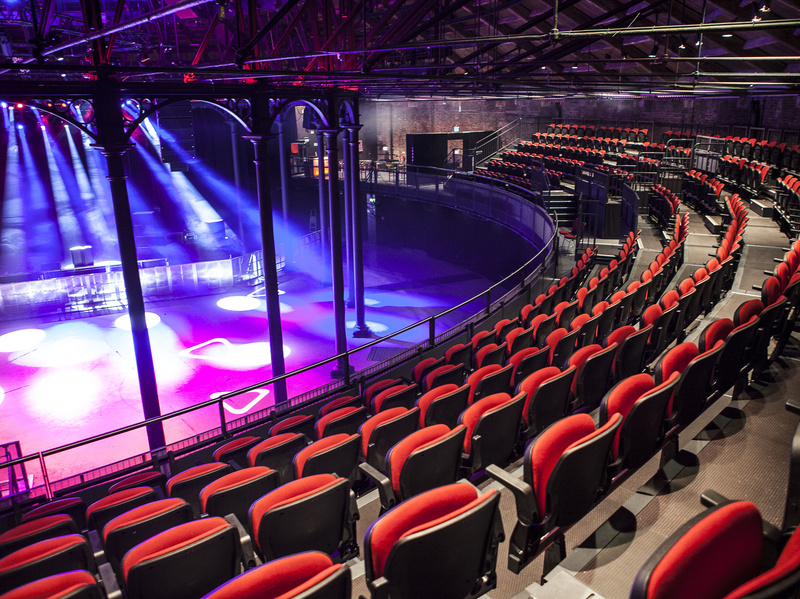 The Roundhouse has a capacity of 3,000 for a standing show and approximately 1,400 for our 'In The Round' shows at the beginning of the year. I've been the Head of Music here for a year now. The role encompasses several different tasks including overseeing the choreography of the gigs diary, programming our own shows and festivals and working with the music team on the programme in the Paul Hamlyn Roundhouse Studios. The venue was originally built as a railway repair shed and turning circle in 1847. It first opened as an arts space in 1966 with the first night being the launch of the International Times with performances by Soft Machine and Pink Floyd. So we're celebrating our 50 years as a music and performing arts venue this year. Lots of changes since 1847. The Roundhouse fell into disrepair in the 1990s and then it was bought by Sir Torquil Norman, who then established The Roundhouse Trust. Following a £30 million refurbishment, we re-opened in 2006 equipped with new advanced technology and with many of the original features restored. We also created The Roundhouse Studios creative centre for young artists. Wow...too many to mention from Pink Floyd, The Ramones, Patti Smith, Lady Gaga, Prince, Radiohead, The Doors. It's a rich 50 year history. It really depends on the period of the year – sometimes it's seven gigs in a week and then at other points we might have a Circus Festival or a theatre piece in for a month. Again so many – our current favourite in the office is Christine and the Queens. Yes we have a programme that runs across spoken word, circus, theatre, dance and we also host corporate events which help support our charitable work with young people. I'd ban emails and insist everyone spoke to each other. The venue shut a couple of times in the 60s and 70s with different management coming and going. Funding has always been part of our story. Just being able to walk through the Roundhouse Studios every day and listen to some of the amazing music being created there. I'd like more people to know about Roundhouse Studios and the work we do with young creatives – it's a very unique offer we have here. 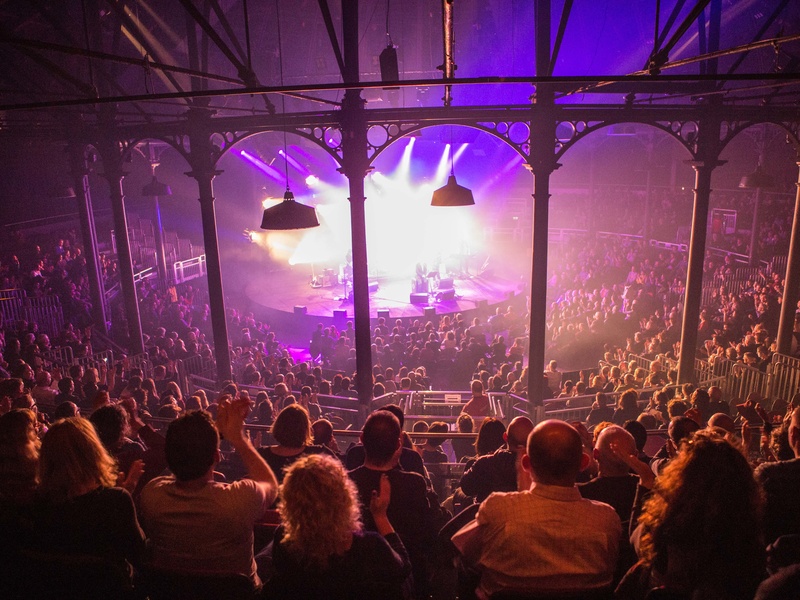 The Roundhouse will be hosting Venues Day 2016 - a national networking event for grassroots music venues and related professions - on Tuesday 18th October. 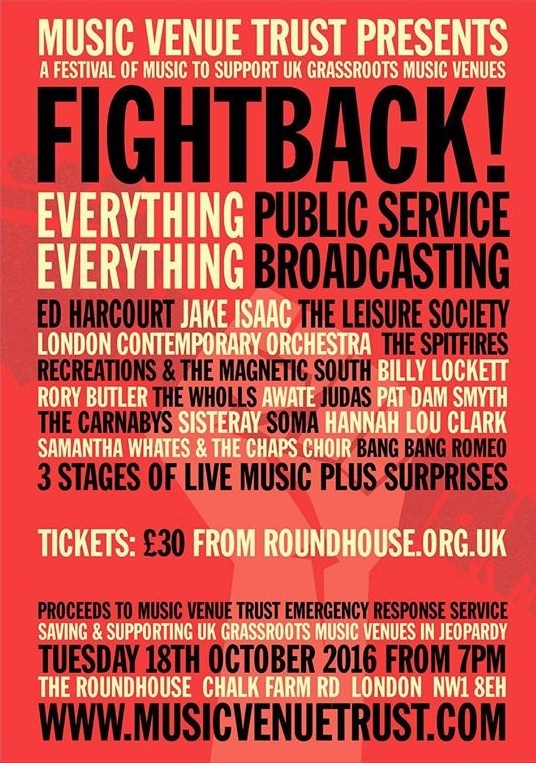 The event will also include the launch of Music Venue Trust's Fightback - a one-off evening of music to raise vital funds to create a new service to stop the closure of UK grassroots music venues. More details and ticket information can be found by clicking here. Track The Roundhouse here to keep up to date with all forthcoming events.